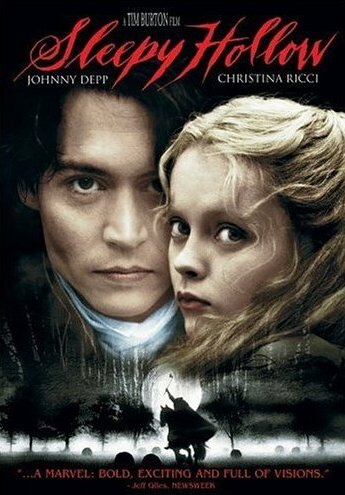 Sleepy Hollow is,according to wikipedia,a horror film,made in 1999,based on W.Irving’s story “The legend of Sleepy Hollow” and starring Johnny Depp,Christina Ricci,Michael Gambon and Christopher Walken.And a lot of other big names,but these are the ones I like. 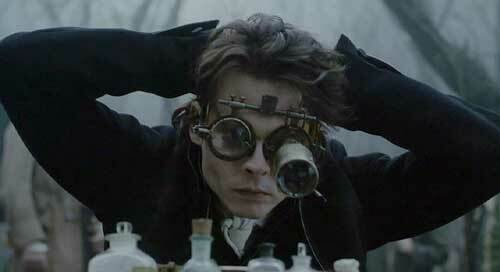 The movie follows the story of Ichabod Crane,a police constable from New York,sent to the little town of Sleepy Hollow to investigate a series of brutal slayings in which the victims were found beheaded. The locals believe that the killer is the Headless Horseman.Crane does not believe them until he meets him. Boarding a room at the Van Tassels,Crane develops an attraction to their daughter,the mysterious Katrina.In the end…spoilers spoilers spoilers,it turns out that the horseman was manipulated by Katrina’s stepmother who still had the horseman’s head. All is well when it ends well.The final scene is with Ichabod and Katrina in New York,right in time for the new century(1800). As I said before,according to wikipedia,it’s a horror film.But it’s not really.It’s not scary at all(except maybe for small children),it’s just that it has some murders,witches,a headless zombie on a horse and the Inquisition. In my opinion,this is Tim Burton at it’s finest,with all the gory details but with a bit of a brighter note(not a big fan of The demon barber or Edward Scissorshands),without being all bright and shiny(Big Fish). The music is impressive,it gets to you and it does what movie music should do(and to be honest,rarely does acceptably),it makes you feel like you’re in the movie and it’s the only frightening thing there. The Sleepy Hollow OST is Danny Elfman’s best work.Except for the Nightmare before Christmas. The setting was almost entirely built.And it’s creepy in a good Tim Burton way.It actually makes me think of Snow White because I always thought that is a dark story.Anyway,as I was saying,visually it’s a typical Tim Burton set. I loved it entirely,I wouldn’t change a thing and it’s the movie that opened the Tim Burton world for me. My favorite scene was when Ichabod cuts the dead widow open,then comes out full of blood like a butcher and says that whoever did this was mad. He doesn’t mind so much being around dead bodies,but he hates spiders. The movie “Horatio Hornblower-The even chance” is the first in a series of films based on C.S Forester’s novels about the fictional navy officer Horatio Hornblower. I only saw “The even chance” and there are 8 films in total,all starring Ioan Gruffudd as the main character. At first the story seems boring,but give it time,it gets better. Moment 1:We are introduced to a shy,sea-sick 17 year old boy who is to serve as a midshipman on the ship of a dying captain.The men have no occupation,since England is not at war,but to bully each other and senior midshipman Jack Simpson does that very effectively to Horatio.The poor boy even thinks about suicide. After being beaten and insulted,Horatio challenges Simpson to a duel but Clayton,a midshipman who has been accused by Simpson to be a coward,knocked him unconscious and fought the duel in his place.His last words were that Simpson indeed had to be faced,but not by a boy.He dies and Simpson is merely hurt. Moment 2:The war begins and with it begins a new stage in Horatio’s life. He joins the frigate Indefatigable and is given the command of a french captured cargo vessel. The vessel is holed and he cannot save it.They must abandon ship and the saving boat gets filled with both Englishmen and Frenchmen in equal number.The French captain takes control over the boat and turns it towards France,but Horatio had intentionally marked the wrong location on the map and so the boat just can’t get to land.While floating,they are found by the frigate and Horatio is congratulated and admired by his men. Moment 3:The midshipmen(including Simpson now) enroll in a difficult mission of taking over the French ship Papillon.In the confusion of the battle,Simpson purposely shoots Horatio(but ineffectively) and sets another midshipman adrift,thus killing him. When Eccleston,who was in charge,dies,he asks Horatio to take the command,but Simpson attempts to challenge Horatio’s authority invoking his experience.Horatio has him imprisoned and saves the day. Finale:Simpson challenges Horatio to a duel.Obviously he is now impressed and a bit scared by what he thought was just a 17 year old boy.He shoots at the count of two instead of three and makes a poor shot,to the shoulder.Now it’s Horatio’s turn to shoot,but he doesn’t because it would be too much like an execution.Simpson is begging him not to shoot,but when Horatio turns his back,he attacks him with a knife.Cpt.Pellew who was watching the duel from a distance and with a riffle in his hands.shoots him. The story takes us to see the development in Horatio’s self confidence and determination. 1.At first we see an unpromising boy,but his decision to challenge Simpson shows he has guts. Meanwhile we find that he is truly honorable,intelligent and ambitious. 2.Horatio is much more determined,he is stronger,he is able to rule his men and make order. He is also cunning,quick and very brave. 3.The shy boy is now a leader;men look up to him and have reason to fear him.He has all the qualities a hero should have.There’s nothing boyish about him now. So I liked the movie a lot. At first I was bored because of all the bullying and I kind of found it unrealistic.I mean how many men in their twenties are so easily scared by one man?Moreover,how many strong men in groups of 4 would be scared of one man who has nothing better to make him scary than his seniority and wickedness?So…hmmm,I dunno,too much like the nowadays highschool movies. And I also fail to understand the whole dueling thing.How strange can duels be?Two men sit in front of each other at 10 feet and shoot at the count of three.It seems so pointlessly sacrificial and random.The same thing always hits me about the 18th century battle scenes.Armies just get in position one in front of the other one and just shoot.Positions must be kept and men must only shoot when they are ordered too.And so it’s all done neatly.One army shoots and the other one waits to take the shots.This absurdity is obvious in “The patriot”.Was this part of an honor code? Seriously,I am in the mist here. The best bit about this movie was,for me,the rescue boat.Horatio threw the compass in the water even though he had a gun pointed at his head and then we find out he had the presence of spirit to wrongly map his route.I was impressed. Also he was very brave when he climbed the pole even though he was afraid of heights. And of course,there is the final duel in which he kills Simpson.Why did Simpson have to be such a bad guy?I would’ve loved Horatio just the same in opposition with a less evil and therefore more believable character. Strange bit:This movie praises war a lot.Everybody is so happy when war bursts,all the midhipmen are euphoric,but none of them says something like…Oh,we might lose friends in this war.Nothing like that.In fact,the captain’s attitude when he sends Horatio on the frigate is …Boy, I am giving you this chance to make a great career.HELLO!He’s 17! 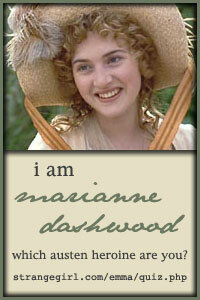 !He might very well die and have no career!And all the midshipmen we meet on the Justinian,except for Horatio,die. I haven’t read the book(because I couldn’t find it),but my guess is it’s written in a sienkiewicz manner. “Horatio Hornblower-The even chance” isn’t a girl story.It doesn’t even have one single female character,but I loved it.It’s more than a war movie,it’s a growing up during the war movie. It’s a guy movie really.Just guy guy guy.And me movie.Because I like war movies. Aaaaand Ioan Gruffudd is so beautiful(awwww) and has such girly features in this movie.He was very young during the shooting.He was positively adorable ;)). The actress playing Mary Musgrove is really good,I didn’t mention that yesterday.I hear it is more difficult to have a negative part rather than a positive part and this Mary Musgrove is so believable in her self love that I must call Sophie Thompson a genius. I think the first few minutes of this clip are brilliantly done. Truely the portions that make this movie successful are the appearantly not so vital ones. Why is that?Perhaps it is because we see a glimpse of Jane Austen’s actual world.With all the little important details of a woman’s inactive existence. I also loved admiral Croft and his mrs.Croft.They are genuinely good,simple and with the right dose of common sense and you see this very clearly in their acting.